Meomi is dedicated to the creation of engaging visual experiences and narratives. We create for numerous mediums and strongly believe in work that delights, entices, and inspires. 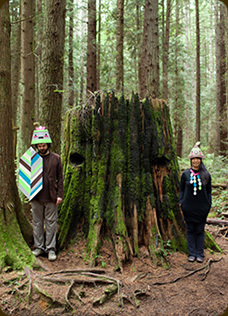 MEOMI is Vicki Wong and Michael Murphy based in Vancouver, Canada. Our work has been featured in numerous illustration and design books, while our characters have appeared on clothing, toys, and merchandise worldwide. We've created work for clients such as Google, Canon, Yo GabbaGabba, Time Out Magazine, Microsoft, and the Monterey Bay Aquarium. Meomi are also the creators of the Octonauts, childrens book series and preschool television series, which has aired in over 100 countries world wide including: CBeebies (UK), Disney Junior (US/Asia), Treehouse (CAN), TF1 (France), Super RTL (Germany), ABC (Australia), CCTV (China) - Check your local listings to tune in for exciting underwater adventures!